Technology will help banks to transform their approaches to customer experience. With the emergence of countless numbers of third party providers as a result of open APIs, banks will be put into survival mode. Natasha Kyprianides, Head of Omnichannel & Customer Experience at Hellenic Bank will share her thoughts on how ‘lifestyle banking’ will soon become the norm. 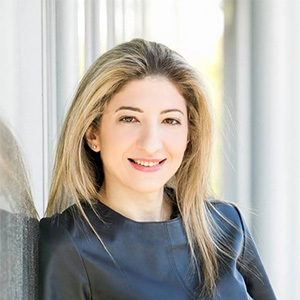 Natasha Kyprianides is Head of Omnichannel and Customer Experience at Hellenic Bank. Natasha is responsible for the definition and delivery of all digital propositions across all touchpoints of the bank, and will join the panel discussion exploring the impact of open banking initiatives on the industry. s on the industry. Bringing together 500+ senior professionals, this is the unrivalled strategic conference for retail bankers. Covering Open Banking, payments & PSD2, lending, FinTech partnerships, data management and more, this year’s agenda has been carefully designed to elevate your understanding of the key issues facing the industry. 400+ bankers from across the globe come together for two days packed full of exclusive insights on topics including open banking, exploring new models, leveraging the power of AI, the new data ecosystem and more. Delegates are able to hear from a mixture of incumbent banks, challengers, FinTechs and tech giants and forge a new pathway towards digital excellence. MoneyLIVE: Digital Banking APAC 2019 will bring together over 200+ banking innovators from across the APAC region and beyond. With two packed full days of exclusive content hear insights on AI, open banking, digital payments, FinTech collaboration and more.